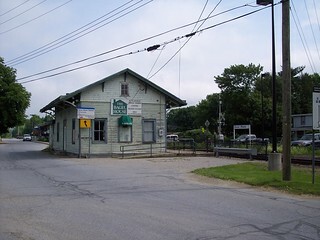 The old station building and platform at Dover Plains. 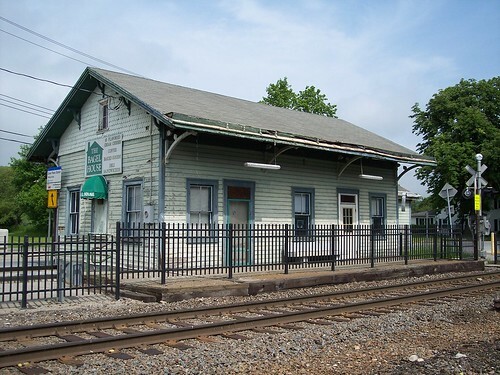 The building is not currently being used and a fence separates the old platform from the tracks. 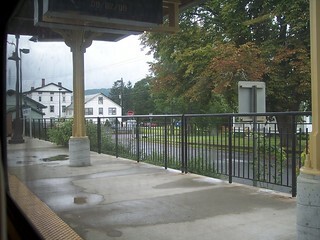 The new high level platform is just beyond the old station. 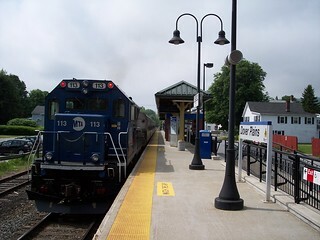 For many years Dover Plains was the end of the Harlem Line.